Microwave mug cakes first cake into my consciousness about 10 years ago through the pre-facebook existence of the email forward. I found them to be completely smarmy, the culinary equivalent of a Jerry Springer episode. My first though was, “Oh, yeah like I need QUICKER ways to get fatter.” Email deleted. But then I found myself in my new place, without the gas turned on yet, but with a new microwave and the urge to celebrate. I made my little family microwave cupcakes to celebrate the move and the fact that I was finally back in a kitchen. Just remember that if you find yourself with unexpected guests and only about 5 minutes to whip up a dessert, this is a viable option. The secret to making these Smarmy Mug Cakes in cupcake form, is the baking cups. I love the crap out of these things. 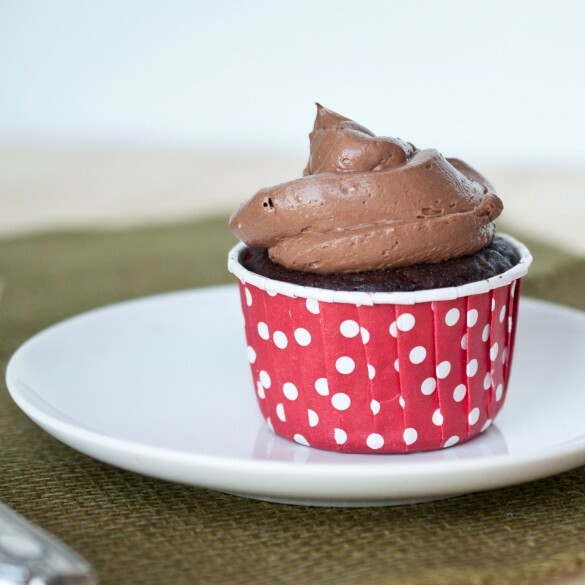 I always use them to make cupcakes because they are much cuter than the regular cupcake papers, and they don’t need muffin tins, just place them on a baking sheet and fill to half capacity. These were left over from Taters, Lets Have A Ball party and bought them from Sweet Lulu, but you can also buy plain white ones on Amazon. The trick is to only fill them half way. In a microwave safe bowl, add the chocolate chips and the butter. Microwave for 20 seconds, stir and repeat until melted. In a separate bowl, add the egg, oil, milk, sugar and salt and beat with a fork until well combined. Add the melted chocolate and stir again. Sprinkle the cocoa powder, flour and baking powder over the egg mixture and stir again with the fork until well combined. Distribute equally between three baking cups (standard cupcake papers will not work). I also added 4 chocolate chips to the very center of each cupcake to make a bit of a molten center. Microwave on high for 1 to 1.5 minutes. The “cooking” time will depend largely on the power of your microwave. Mine took 1 minute 15 seconds. 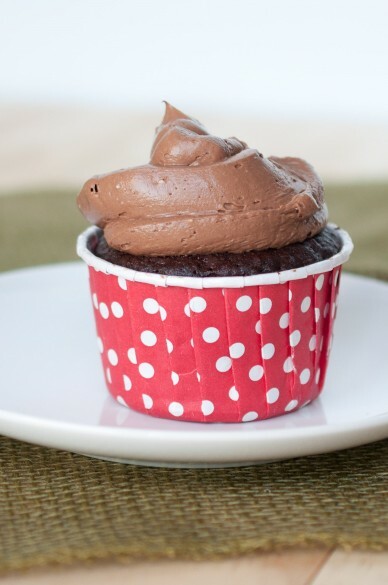 You want to let the cupcake cool a bit because right out of the microwave they are screaming hot. While they cool, make the frosting. Add the milk and the cream cheese to a bowl and beat on high until smooth and creamy. Then add the powdered sugar and the cocoa powder and beat until combined. Add the frosting to a zip lock bag and cut about 1/2 inch off the bottom corner. Pipe the frosting into the cupcake. Serve with a fork. Eat immediately. Right away. I’m serious. Okay I am crossing over to the dark side with you. Like…right…now! I love you and hate you at the same time for showing me this. Um, what?!? You are so brilliant for this. I second Liz…I love you and hate you for sharing this! I have the same liners! So cute. And yes, microwave cakes are freakishly awesome! I have been craving chocolate big time today! seriously! I just had a handful of chocolate chips just now 🙁 That’s how bad it got 🙁 and now I see your post!!! My next blog post might just be chocolate cup cakes! lol…. What planet have I been on? I’ve never heard of a microwave cupcake! I TOTALLY want a quicker way to get fatter. I mean a quicker way to have cupcakes! LOL 😀 Thanks for sharing and Happy Friday chica! As the mother of teenage and college aged boys I can tell you that this recipe is a winner. I heard about mug cake from my son who is in college which is pretty hilarious considering he doesn’t cook. But I think that is the point. 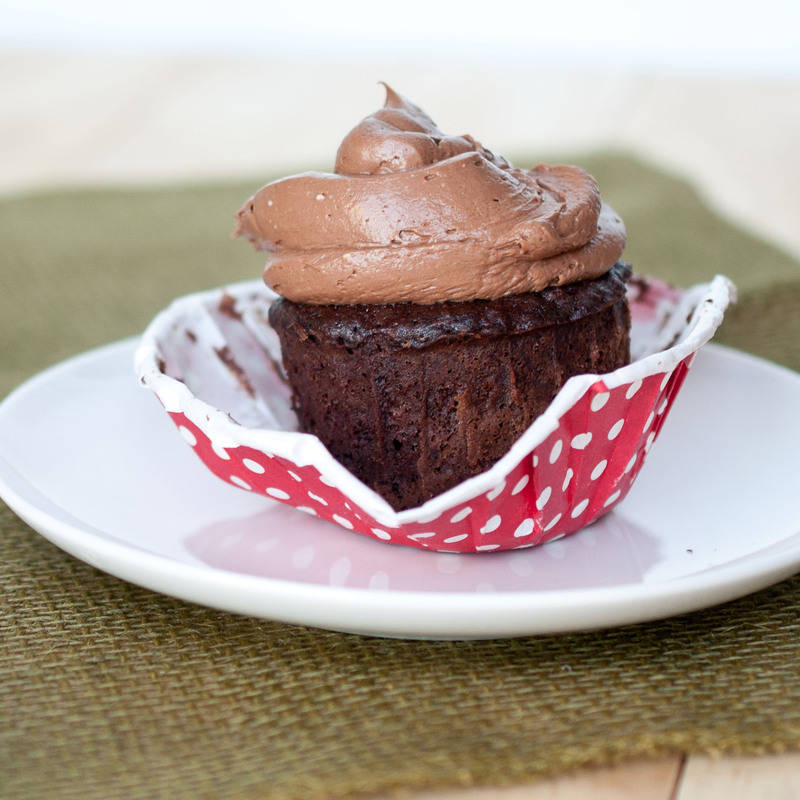 These are right up their alley – fast, indulgent, and easy! You’re in reality a just helping us find options! Love that I can now make a cupcake in a minute, in the event of a cupcake emergency. Yes, please! I love the idea. The perfect mid night treat. I’m sure you can, it will probably only make one, maaaaaybe 2. Don’t fill the mug too high, the batter tends to “grow” quite a bit. In a mug, I would probably do 1 minute 30 seconds. Love the name of these, Smarmy Mug Cupcakes 🙂 And yes no one needs a faster way to get fatter, I happen to sometimes need a faster way to get a cupcake fix (especially being pregnant) so these are perfect!!! Just moved to Thailand, and all i have in my kitchen is a microwave, 1 bowl, 1 spoon and a washed out youghurt pot. ( I cut down some paper water cups for the pots are i cant find them out here) and i just made these and they are amazing! I might even go as far as better than oven baked ones! So moist and fluffy! Absolutely chuffed will be living off them now. Thanks so much for a good recipe, there are so many out there advising not to even bother trying to bake with a microwave! This is first time with cakes and this was a recipe from Heaven. Absolutely yummy cup cakes!! Not just my children, my hubby gobbled it up too. Will be making it often. Thanks! Thanks so much! Absalute heaven in a minute! Love it !! Just made these, without the frosting and it was delicious. Seriously delicious, and super easy. What a perfect recipe to have on hand for a sweet craving moment or unexpected guests.